A Derby-based website design and development company has scored a three-year contract with Derby County Football Club. 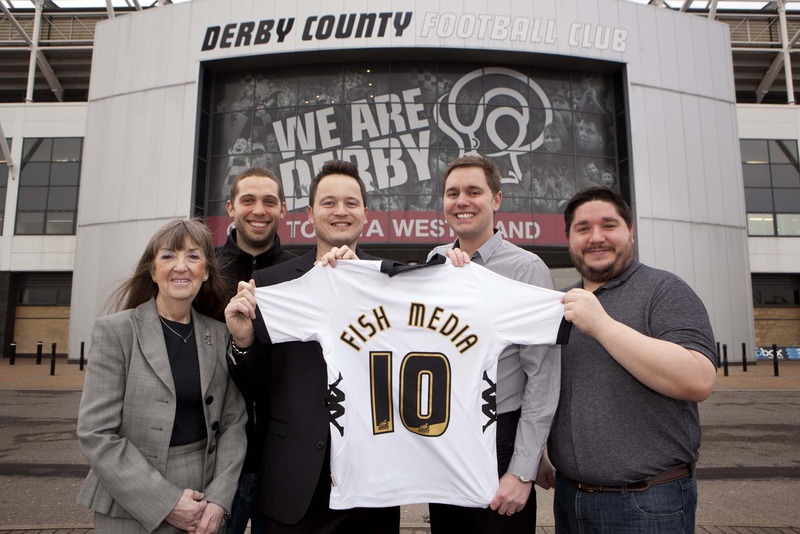 Fish Media has taken over the maintenance, management and updating of several sites under the WeAreDerby banner – wearederby.com, prideparkstadium.com and theplazaatpridepark.com. In addition to the running and maintenance of the three websites, Fish Media is also looking at redeveloping the WeAreDerby website to include new features for both web and mobile markets. Fish Media is also working with the marketing team at DCFC and recently launched wearederby.com/dna to support the season ticket renewal campaign. Called Derby Now Always, the site takes you on a journey through the club’s past to remind you of all those glorious moments throughout the years. Fans are also able to buy their season tickets online through this site. The football club called on Fish Media to help with their main transactional websites after having issues with their existing partner. Fish Media was able to take control of hosting, DNS and back office management to provide an all-in-one solution for the English Championship football club. From the very start Fish Media has been there for us and we would have been lost without them! Not only does the company now host all of our websites but we are about to go through a whole website refresh with their help. Fish Media is a website design and development company that brings creativity to a whole range of online solutions. From content managed websites and web-based applications through to E-Commerce portals and mobile Apps, the Derby business aims to provide a highly creative and cost effective solution. To find out more about the services Fish Media can provide, take a look at the company’s website at www.fish-media.net or give Colin a call on 01332 650600.